July 2011. Brotherhood of The Wind/ Motorcycle Road Culture in America. New Mexico. 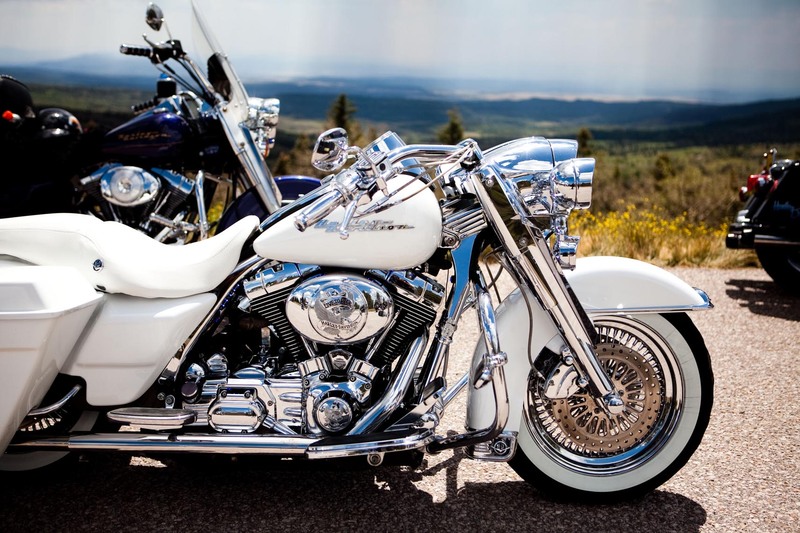 A customized white 2006 Harley Road King. "I cleaned the bike with elbow greese that morning. It's a special bike, not as comfortable as others but so much classier", said owner, Joe Valdez who rode with a group of friends and collegues from Espaniola Valley on Route 64, New Mexico, while on a 'Poker Run', a scholarship benefit ride for the local school. Piotr Redlinski for The New York Times.